Lamelle has a straw-yellow colour, with slight golden reflections, the bouquet is full of fresh, white pulp fruit and tropical fruit scents, in addition to a slightly-spicy vanilla note. The taste is delicate, pleasant and fresh, with a marked mineral note. 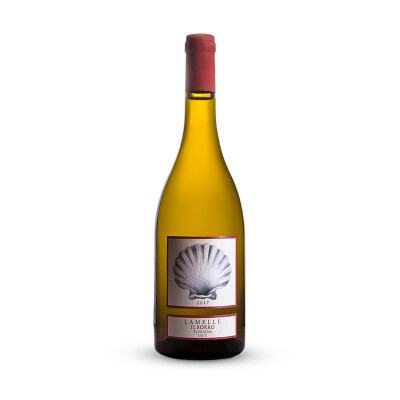 The “Lamelle” is made from hand-picked Chardonnay grapes. The vendage is followed by a soft and delicate pressing and separation of the skins and the must. Alcoholic fermentation takes place at a controlled temperature of 16°C, 50% in new French casks and the remaining 50% in stainless-steel vats, and lasts for 8-10 days. The wine is subsequently blended and left to mature for a further two months in barrels. At the end of this period, the “Lamelle” wine is filtered and left for another two months in the bottle before being sold. Soft and aged cheeses, dried fruits (ex. almonds), light croutons, shellfishes, seafoods, sushi, first and main courses with fish.